Click PLAY above to watch the behind the scenes video. 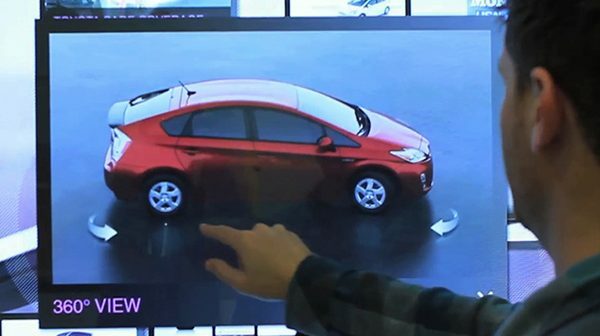 We introduced the all-new Toyota Prius with a totally hands-on digital experience. 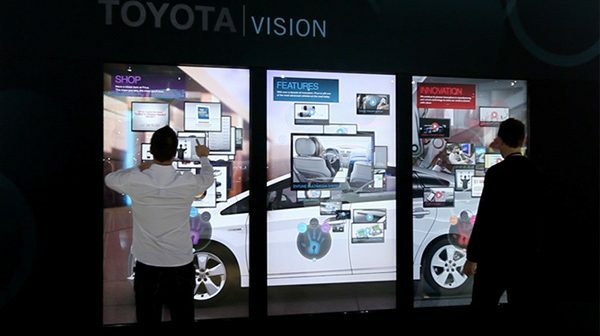 We called it the Touch Wall. 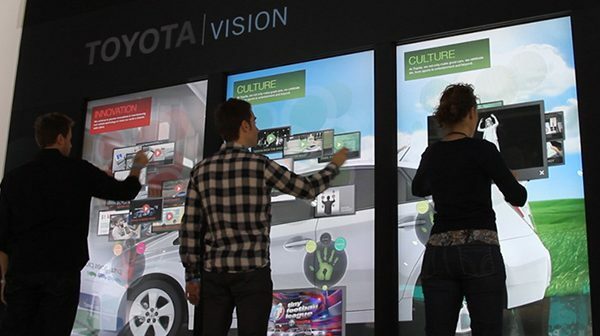 Our goal was three-fold: position Toyota as an innovative company by creating a unique digital experience at the North American International Auto Show in Detroit; attract people to the space; and engage them with the all-new 2011 Toyota Prius. 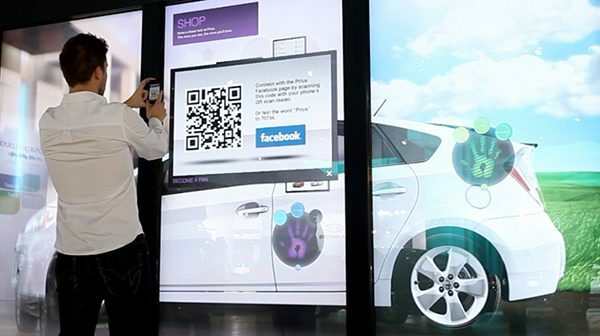 So, we created a first-of-its-kind, 60-square-foot digital touch experience that delivered a feast for the senses, allowing consumers to explore videos, photos and custom content through a larger-than-life interactive surface. 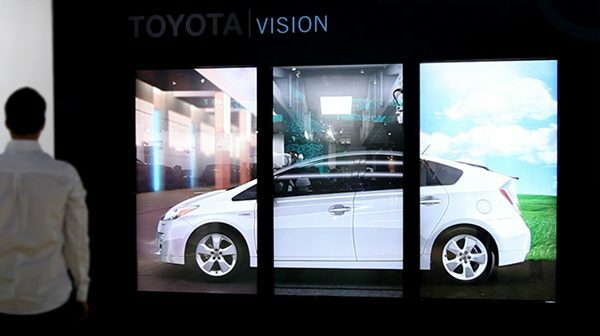 It was crafted to tell three key brand stories, each centered on a different aspect of the Prius. 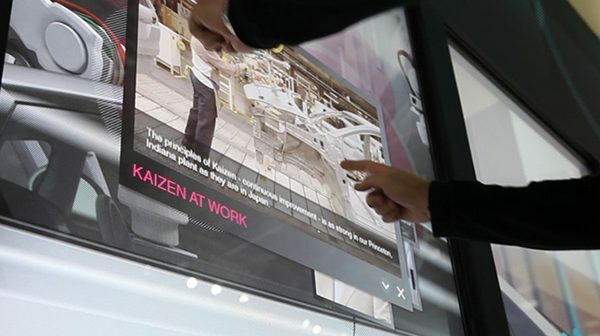 A wealth of content was used to help bring the Technology, Safety, and Lifestyle stories to life for the audience, including three levels of play built into the interactive user experience that made it both fun to touch and memorable. 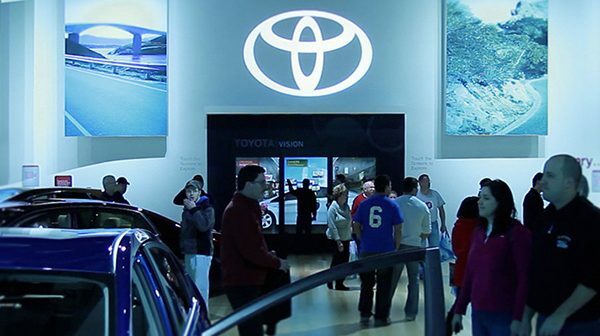 Finally, pathways were created to guide attendees to connect via their smart phone, request more information, and locate local dealers.